Hyeon Chung from South Korea won the Next Gen ATP Finals in London – a tournament where we had the chance to see the best young players in the world of tennis today. In the final of the competition, Hyeon Chung enjoyed a 3-4 4-3 4-2 4-2 win over Andrey Rublev. The third place was won by Danill Medvedev, who achieved a win over Borna Coric from Croatia. The competition was divided in two groups of four players. In Group A we saw together Andrey Rublev, Denis Shapovalov, Hyeon Chung and Gianluigi Quinzi. In Group B there were Karen Kcachanov, Borna Coric, Jared Donaldson and Danill Medvedev. The two groups were won by Hyeon Chung and Borna Coric, while Andrey Rublev and Danill Medvedev finished second, managing to qualify for the 1/2-finals. In the 1/2-finals Hyeon Chung won against Danill Medvedev, while Andrey Rublev was better against Borna Coric. For Hyeon Chung it is a first ATP title in his career. He was seeded sixth in the tournament, but he showed some great form and didn’t lose even one game from the beginning to the end. For his country South Korea it’s a first ATP title since 2003, which is a great achievement for this young and talented player. 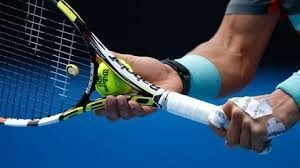 Although the rules were a little bit tweaked and we saw shorter sets, plus other changes in the ordinary rules, the Next Gen ATP Finals were a good show and we saw in action some of the most talented tennis players today. You shall not be surprised if you continue to hear these players’ names on a ordinary basis. We shall all expect some great things from them. For the young and talented Hyeon Chung it was a great way to end the year. Now he will be even more motivared for what’s about to happen in 2018!